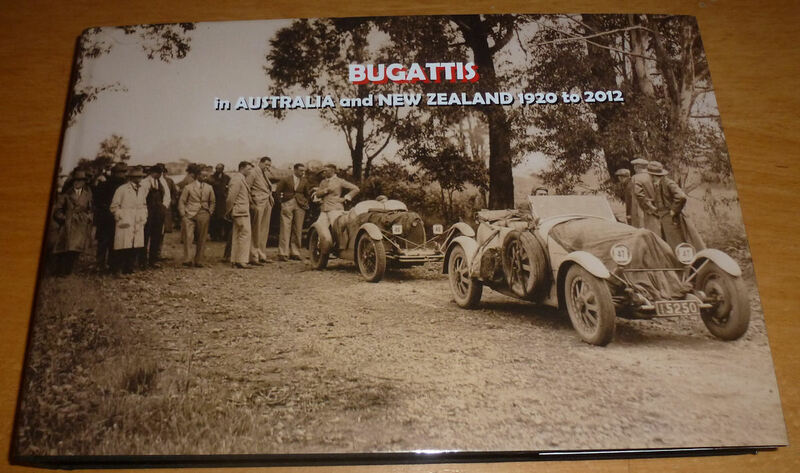 The definitive history of all Bugattis and Bugatti related cars known to have been in Australia or New Zealand between 1920 and 2012. With 320+ pages, fully illustrated in colour where possible, this book is an essential reference document for any Bugatti library. There have been a lot of registers published the last 10 years (though we're still waiting for the French register! ), and this is a very interesting one, following a few earlier publications on Bugattis in Australasia. Still more cars, and new photographs. Australia is different as a lot of Bugattis, also early Brescia's, were modified for racing, many photo's (like the ones below) show these successfully and less successfully modified cars. Unlike other registers, this one is in landscape format, which enables showing some of the photographs in a larger size. Summarizing, really a nice book for the Bugattiste, where even he (or she) with a full bookshelf will find something new!